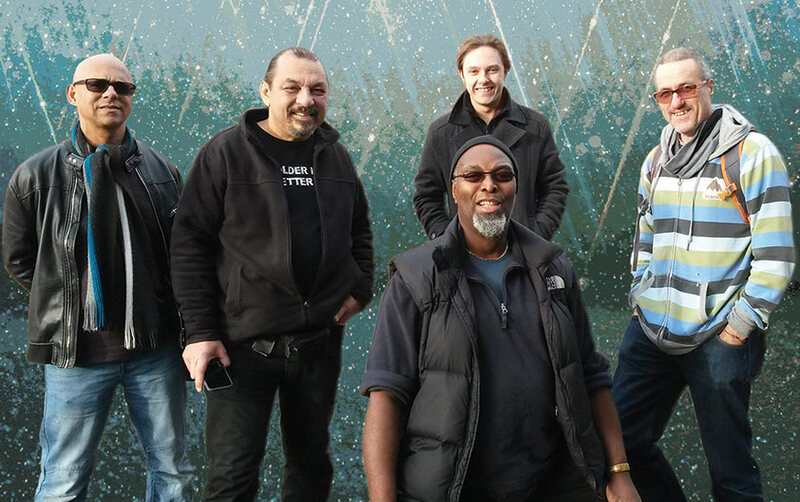 The Meeting Room Elland welcomes one of the world of blues music’s well known names on 23rd March with the arrival of Sam Kelly’s Station House – a band that has featured large on the UK music scene for decades. Originally an all-black blues band renowned for their ability to blend instinctive funk and soul rhythms with the excitement and diversity of the blues, Station House was originally born at London’s ‘Station Tavern’ in the early nineties where they held a monthly residency for more than ten years, performing with artists including Chaka Khan and Taka Boom. Following the closure of the Station Tavern, Sam Kelly took over as band leader and evolved Sam Kelly’s Station House. In 2009 the band relaunched with Sam Kelly on drums and bvs, Paul Jobson MD, keys and vocals, Richard Sadler on bass, Tony Quinta on guitar and vocal and Jerome Marcus on percussion/bvs. This line up was joined by lead singer Rowena Poole in 2016 and has played at venues and festivals across the UK and Europe. They have twice formed the House Band for Paul Jones’ Charity Events at Cranleigh Arts Centre, performing with artists including on with Paul Jones, Imelda May, Robben Ford, Chris Barber, Andy Fairweather Low, Mike Sanchez, Reuben Richards, Noel McCalla, Katie Bradley & Dudley Ross, Kyla Brox & Danny Blomeley.